If, like me, eggs are a staple of your breakfast, the odds are you will have plenty of them lying around every day. Eggs are considered to be a superfood. They are packed with protein and nutrients. But, of what use is the humble eggshell? Well, continue reading and you’ll be surprised! Ladies, are you tired of expensive spa treatments that don’t live up to the hype? Eggshells make great face masks. All you need is a crushed egg shell and some egg whites. Ground egg shells are great non-abrasive scrubbers. Your face will be glowing in minutes! If you’re having trouble cleaning those dirty dishes, mix some crushed egg shells with soap water and watch the dirt vanish. Are those pesky joint pains getting you down? Egg shells are the answer! They are packed with nutrients like collagen, chondroitin, and hyaluronic acid that are great for joints. 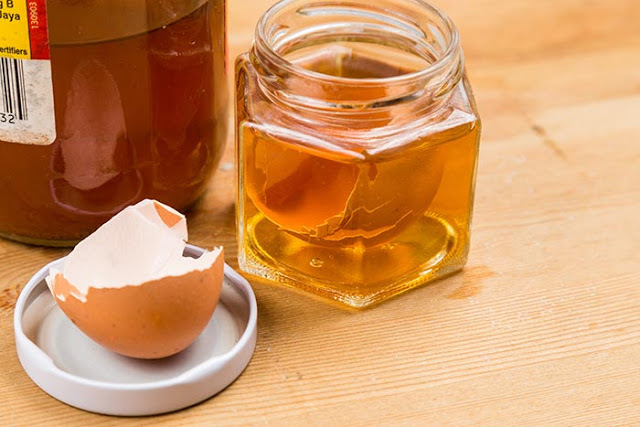 Break some egg shells and put them in a jar. Pour some apple cider vinegar into the jar and seal it. Wait till the egg shells dissolve completely. Apply this mixture on the aching joints. Keeping drains clean is a troublesome task. Grime and oil can clog pipes and sinks. Thankfully, eggshells are natural scrubbers. Simply crush an egg shell and place it in the sink. Wash it down the drain. The egg shells will scrape away the dirt and leave your drain pipe squeaky clean. For making a healthy meal and keeping your garden pest-free, to making your coffee brew taste better, eggshells are very useful. What are you going to use your eggshells for? Let us know in the comments section on our page.